Coquine flirts with perfection every night. 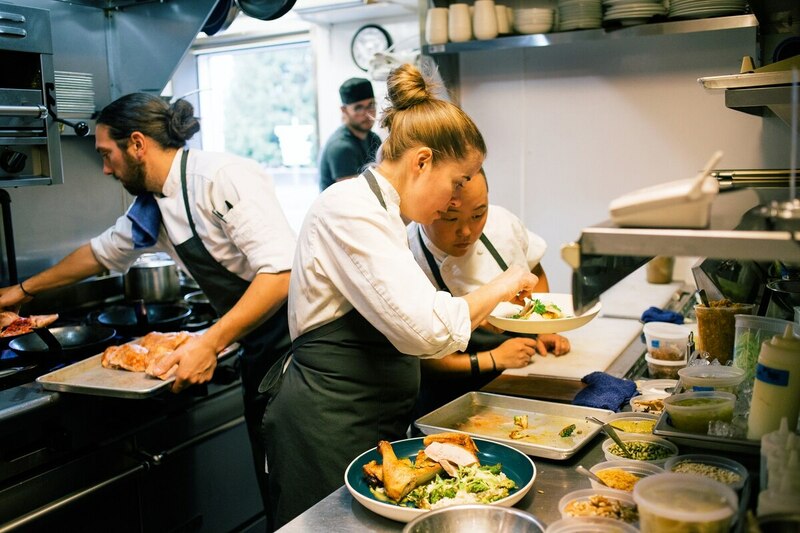 It has arguably been at the top of Portland's restaurant heap since its doors opened three years ago with almost no buildup or fanfare. All credit for that goes to Coquine's preternaturally talented chef, Katy Millard, and her house-fronting sommelier husband, Ksandek Podbielski. The worst thing about dinner at Coquine is having to decide between the roast chicken platter ($36 half, $64 whole), the most memorable poultry entree this side of San Francisco's Zuni Cafe circa 1990, or one of the tasting menus (four-course $65, seven-course $98) replete with treasures, but alas, not that juicy, crispy-skinned bird. The only sound strategy is to plan two visits to try it all, and maybe a third to wander at will through a dozen or so à la carte offerings. In late summer, one of the choices was a divine artichoke soup ($15) with meaty Castelvetrano olives, poached heirloom beans and flowering oregano. Another: fried green tomatoes ($12), with an anchovy-tarragon mayo, pickled onion and here-and-gone sweet Charentais melon. On the more substantial side, there's always a riveting pasta or two along with a chunk of fish, say, seared black cod ($30) dressed Mediterranean-style, with peppers, olives and pine nuts. The unifying theme is hyper-seasonality and peerless creativity. There's no drop in quality with the dessert list—even if you're full there's definitely still room for the candy tray ($2.50), which might include everything from caramels to flavored marshmallows. Pro tip: Let's not forget dinner is only one aspect of Coquine's multidimensional hospitality. In the morning, the homey dining room offers pastries, beloved hazelnut and cocoa nib granola ($8) and other breakfasty things.